This cover just jumped out at me and I knew I needed to read it. I'm totally into novellas right now and I just wanted a taste of Christmas. Not 400 pages of it. Snowed Over was exactly what I wanted. Just imagine getting snowed in a cabin over Christmas with a good looking guy and no technology. I'd love that! It had all the elements of a great novella. 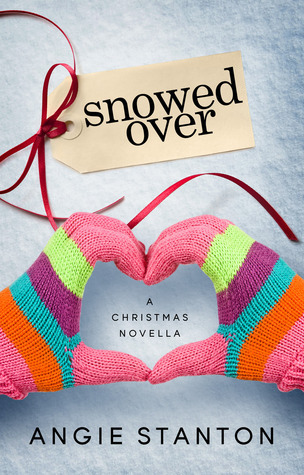 If you read anything this Christmas, I'd say pick up Snowed Over. It was just the right amount of everything. This one has such a cute cover I love it and the way it sounds. Great review I'm going to have to buy this one!